Gas appliances have become popular in most homes nowadays. However, gas safety is a major concern when operating this equipment in a kitchen. Despite gas ranges being very beneficial, knowledge on how to properly use them ensures that you get the most out of them and you also keep you and your family safe. 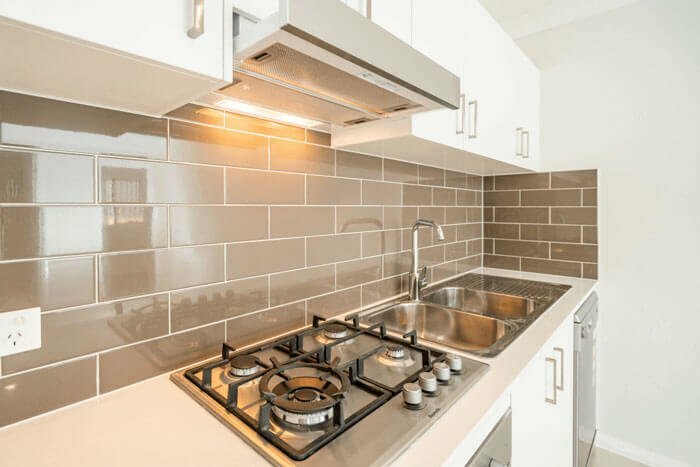 Here are the five major things that you need to consider when using a gas appliance in a kitchen. As mentioned above, safety should be your number one concern when using gas ranges. It’s therefore advisable for you to familiarize yourself with the warning signs. Additionally, you should also know what to do in case you notice these signs. One of the signs you should be on the lookout for is the presence of a yellow fire on the gas range. This usually indicates that it’s not burning as hot as it should be. Gas flames should always be blue in color. Additionally, you could also be filling carbon monoxide in your kitchen. It’s why every kitchen should have a carbon monoxide detector. Once the detector goes off, everybody in the house should get outside and help should be called immediately. Carbon monoxide is poisonous and you may fail to notice it. The carbon monoxide is very dangerous because some of its effects include confusion, nausea and it can lead to death. A malfunctioning water heater could also indicate a gas leak. When you notice this, it’s best you call an expert for help because water heaters can explode if the gas leaks into them. Finally, if you notice moisture formation near the gas appliance then that could be a warning sign of insufficient ventilation. Always be on the lookout for these warning signs when using a gas appliance in your kitchen. The above two safety products are a must have for any kitchen. You never know when a fire might break out and it’s why you should have a fire extinguisher close-by. Most fires that end up consuming houses usually start small. Therefore, using a fire extinguisher to turn off small fires can help prevent big tragedies. For kitchen-related fires, a class B fire extinguisher is the best. It’s because they are manufactured to extinguish fires where gasoline, kerosene, or cooking liquids have been ignited. As mentioned above, a carbon monoxide detector is a must-have. Did you know that carbon monoxide is odorless, colorless and totally undetectable by human senses? This means that you won’t realize its presence. However, thanks to technological advancements, a CO detector can alert you. Do you intend on purchasing a gas range or you are already in possession of one? In both these situations, you should know that the installation, servicing, maintenance, and repair should be done by a certified and registered gas safe engineer. Doing installation/repair by yourself could expose you and other people to a whole lot of danger if anything goes wrong. It’s best if we leave all these things to professionals to handle them. The gas safety engineer should be registered and certified to carry out these tasks. It’s advisable to have your gas appliances inspected once, twice per year or as per the recommendation by the manufacturer. Poor maintenance can lead to gas leaks which can be dangerous. The gas safety engineer during his/her inspections they will provide you with a set of rules on how to carry out proper maintenance. You can share these maintenance tips with other people who use the kitchen. Wherever there are gas appliances being used then there must be proper ventilation. In the case where you are using a gas range at home, make sure the windows are open. But, in the case of a commercial kitchen in a hotel where there are not enough windows then you should invest in a good range hood(s). A range hood is a fan enclosed in a canopy. You should have it installed directly on top of your gas range. These range hoods are usually manufactured with the purpose of removing gases, odors, heat, and steam. The range hoods are great for also keeping gasses such as carbon monoxide at bay. You can, therefore, cook your meals comfortably knowing that you are free from these poisonous gasses. Make sure that you strategically position it above the gas range. It should also be at a considerable height so that it doesn’t interfere/block the chef or cook. As much important as it is for one to take all the necessary precautions, you should know how to deal with gas emergencies. At times, accidents are inevitable and knowing how to handle such situations will give you an upper hand in minimizing damage and surviving the crisis. Immediately you notice a gas leak, you first need to switch off all gas appliances. This will help prevent the gas from spreading to other parts. Immediately press the fire alarm to alert everyone and call the nearest rescue team. Secondly, you need to put away all flammable materials. This includes cooking oils, plastic, and any other materials. Thirdly, you need to vacate the premises and once you are outside, make sure that everyone has left the building. Then wait for the emergency and rescue team to arrive. The above are five things you need to consider when using a gas appliance in the kitchen. There is no doubt that gas ranges are beneficial to us. But, for our own safety, we need to consider all the tips above. Did you find the above factors useful when it comes to gas appliance usage? The above five tips have acted as my guide to ensuring the safe use of gas appliances in my kitchen. You too should incorporate them to help avoid gas-related accidents.